Congratulations to the folks at the Southeast Hockey Association of Wisconsin (SHAW) - this season marks their 40th anniversary of serving the youth of Milwaukee and the surrounding area, giving kids an opportunity to learn and play hockey. 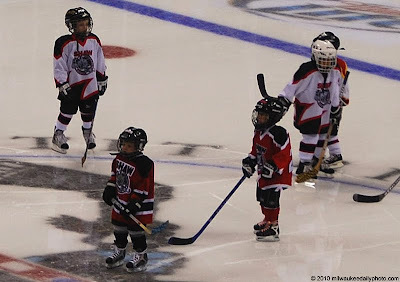 These kids were recently at the Bradley Center to skate an exhibition between periods at an Admirals game. Thanks for the memory. We are originally from Milwaukee and our boys played with the SHAW organization. They both still remember playing at the Bradley Center between periods.